Cooking together has always been a big part of our family life. I won my wife’s interest (and hand, eventually!) by preparing an elaborate dinner for her early in our relationship. Since that magic dinner way back in 1988 (! ), many of our most memorable evenings are those where we are cooking and eating a delicious meal with family and friends. Early on in my cooking “career”, I stumbled on Jacques Pépin cooking shows on PBS. Jacques quickly became a staple for us, as we learned countless cooking techniques and recipes, and were captivated by his warm personality and genuine love of sharing good food. My sons would watch with me just to hear Jacques say “Happy Cooking” at the end of the show (and now they both speak French!). When I started off on some questionable shortcut in the kitchen, Karen or the kids would always admonish me with “What would Jacques do?”, which would invariably set me back on track. 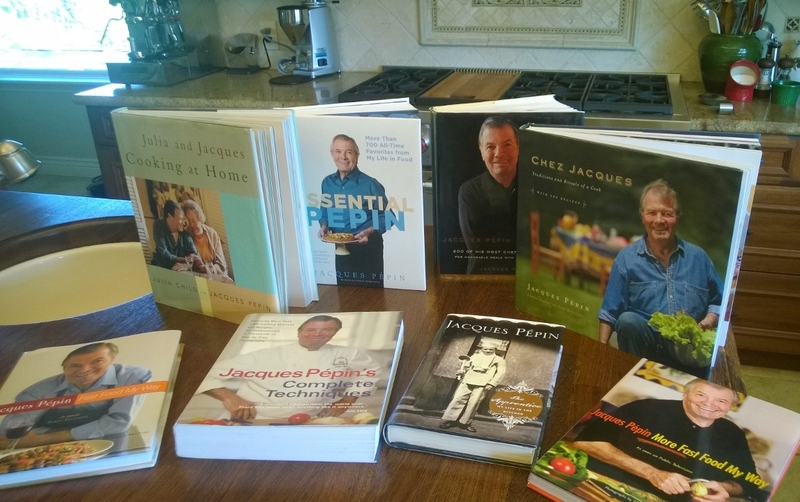 Karen and I both loved Jacques’ philosophy about cooking – that is, that cooking is not about showing off, or competing, but rather it is about preparing and sharing something lovely with your family, friends, and guests. Over the years, we have watched a countless number of his shows, bought most of his cookbooks, and cooked dozens of his recipes. More than any other public figure, it somehow felt like Jacques was part of the family, my long-lost French TV uncle, I guess. 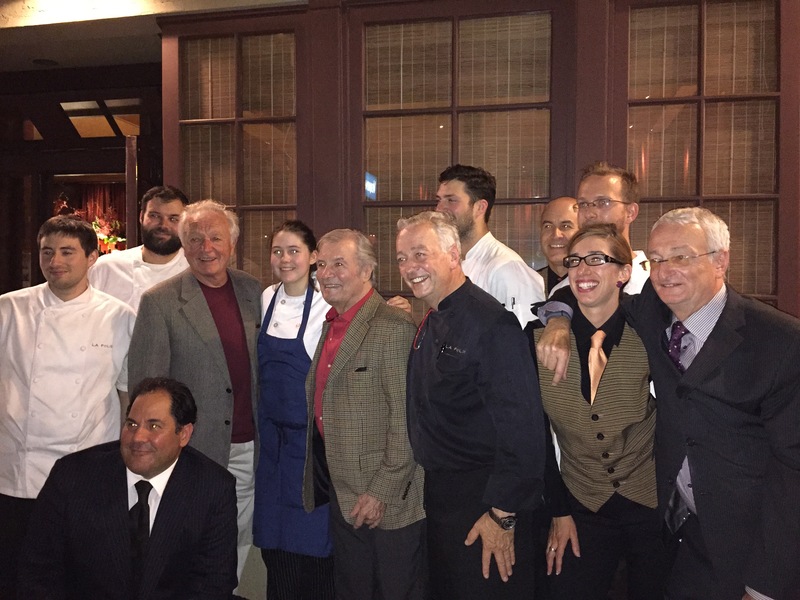 So, many months ago at a Make A Wish auction, when we saw an item which included a dinner for six with Jacques Pépin, hosted by Roland Passot at La Folie, we saw a once-in-a-lifetime opportunity which we could not pass up. We swallowed hard, and kept bidding until the dinner was ours. Once the date and everything was confirmed, we had to assemble our party of six. As both Tyler and Brian were busy in school on the East Coast, they could not attend. In addition to Karen and myself, our party included the following: Phil, from Boston, my college lab partner, roommate in Colorado, and best man at my wedding. Mitch, from Colorado, a close friend for thirty years who dropped everything to come stay with Karen and the boys while I underwent neurosurgery. Andy, my business partner, boss, and friend for over twenty-five years. And, Patricia, head of the local Make A Wish chapter, who is one of the most passionate, dynamic, and caring people I have ever spent time with. The package included transportation via limo, which arrived at about 3:00. The first stop of the evening was at KQED in San Francisco, where we got to hang out in the studio and watch a taping session for Jacques’ upcoming series. It was very cool; I have never been in a studio before, and it was amazing to see all the technology and technicians, and just how smoothly they work. In this particular session, Jacques was cooking first with his daughter Claudine, then with his fifth-grader granddaughter Shorey – and most cooking was done in a single take. Very impressive! Jacques arrived about ten minutes later – he had an even worse time with traffic than we did. And, accompanying Jacques was Claudine, her husband Rollie, Shorey, and Jean-Claude Szurdak, his friend for nearly sixty years, who has often cooked with him on the show. 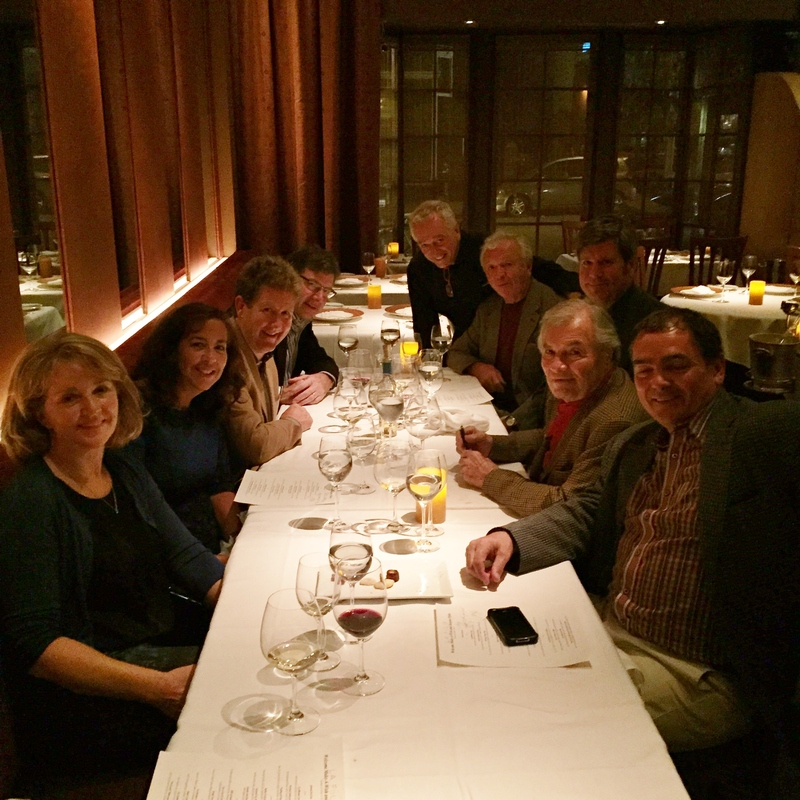 What an unexpected treat… and what an awesome crew to share a dinner with! And what a dinner it was. Roland and Jacques have been friends for many years, although Roland is many years younger. So, essentially we had one of the top French chefs in the country, cooking for essentially the dean of French chefs in America, and aiming to impress. And the dinner was impressive indeed, course after course of creatively conceived, impeccably prepared, stunningly presented, and unbelievably delicious dishes. Definitely the most incredible meal I have ever enjoyed. In person, Jacques was very much the same as he appears on his shows: warm, gracious, humble, and witty. Although he is internationally both revered and famous (perhaps the Paul McCartney of chefs? ), he was approachable and patient as we peppered him with questions. Claudine and her family, who had no idea they were having dinner with a bunch of strangers, were delightful as well. Finally, Jean Claude was an absolute kick, energetic and funny; click here for some background on Jean Claude and his friendship with Jacques. We left La Folie around midnight, after lots of picture-taking and camaraderie, visits to the kitchen, etc. 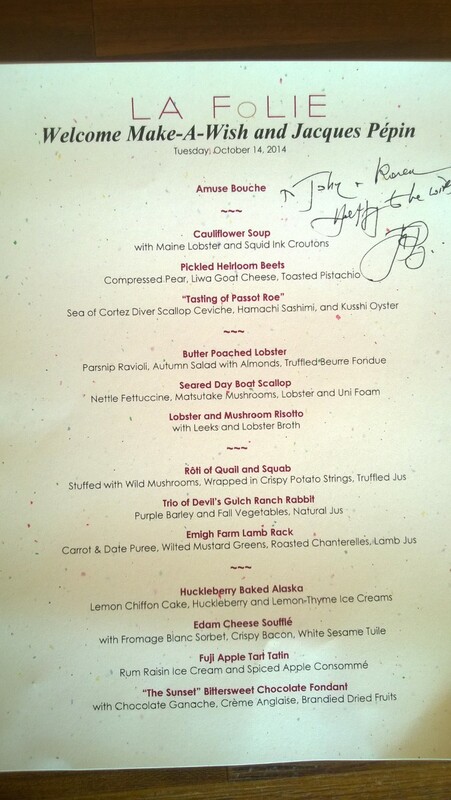 Certainly one of the most memorable meals I have had anytime, or anywhere. 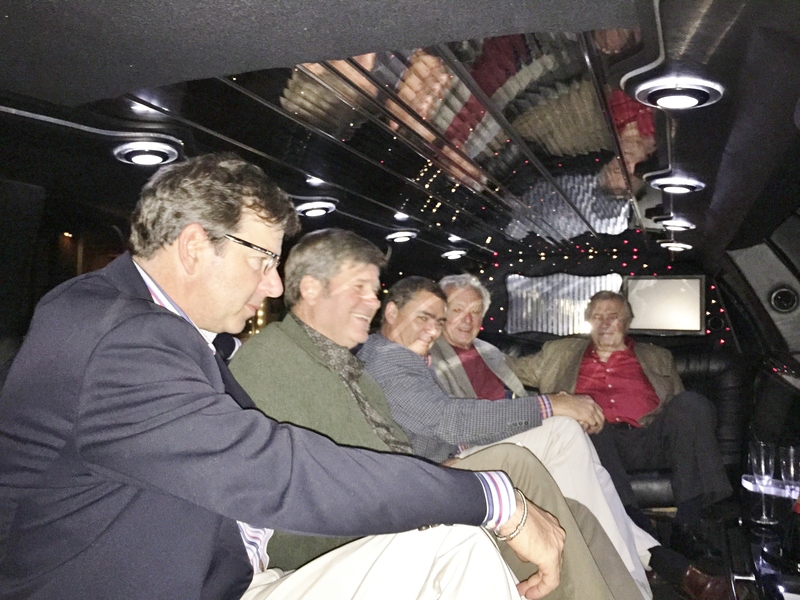 We gave Jacques and Jean Claude a ride back to their hotel in our limo, and shared a couple very amusing stories on selecting a duck, and on the proper use of transparent wrap when smoking a fish. On the ride home after such a magic evening, we were pinching ourselves to make sure it really happened! Of course, the evening would not have happened without the huge generosity of Jacques and Roland. Jacques, who has to be the world’s busiest 79-year-old, spent over four hours with perfect strangers, gladly answering our innumerable questions and just, well, being Jacques. Roland donated his time, his kitchen, his restaurant, and his amazing food and wine. 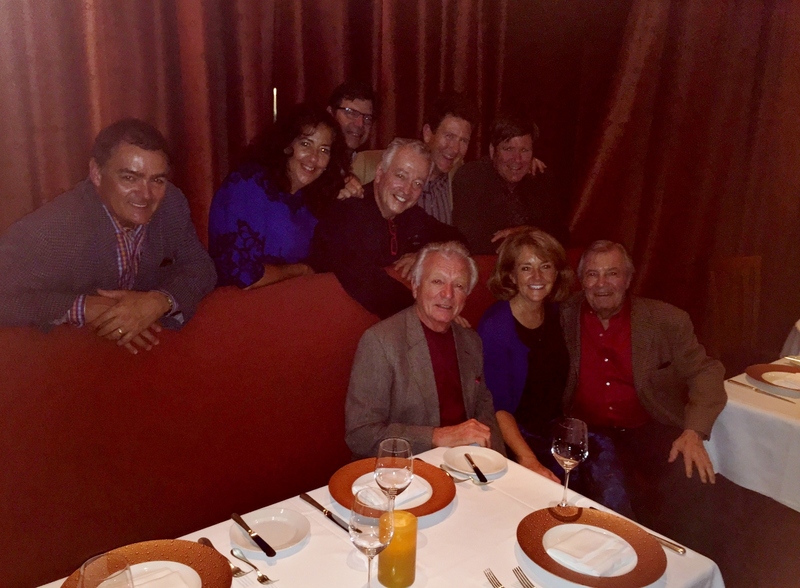 So, I encourage you to watch Jacques Pépin, Heart and Soul when it comes out next fall, and to eat at La Folie in San Francisco every chance you get! This entry was posted in Life on October 18, 2014 by John Beekley. Andy is still talking about the experience. And last night he cooked Jacques’s stuffed pork tenderloin that you saw him demonstrate.